This forecast was published 03/22/2019 at 7:14 AM. 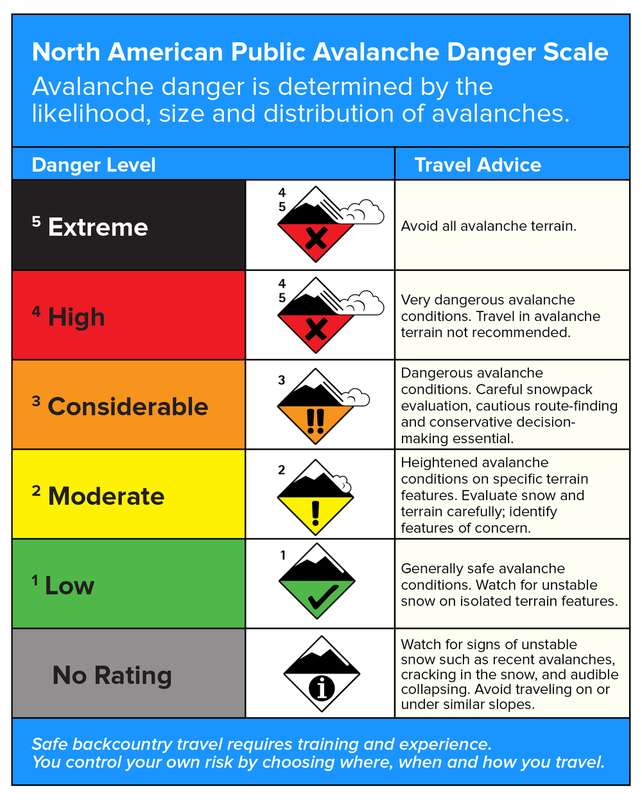 This is an archived avalanche forecast and expired on 03/22/2019 at midnight. 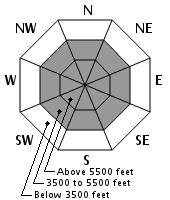 Snow falling through the day will create dangerous avalanche conditions at most elevations of the Presidential Range. Human triggered avalanches will become likely at mid to upper elevations this afternoon. 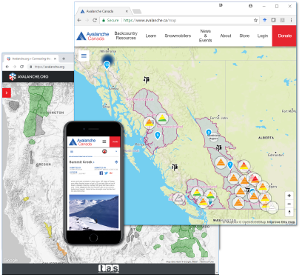 Middle and lower elevation areas will switch to rain for a period which will increase the potential for wet avalanche types in today’s snow as well as in older wind slabs. Careful snow and weather evaluation paired with cautious route-finding will be essential today due to the changing weather conditions. 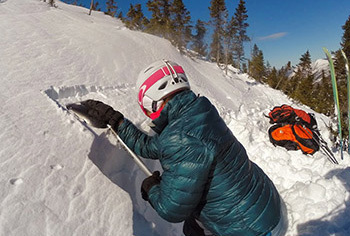 The safest bet for recreating in the new snow will be on local ski trails or glades. 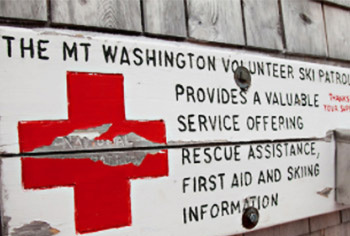 CONSIDERABLE avalanche danger exists today. A winter storm warning is in effect as a spring nor’easter deepens off the coast of Maine. Higher elevations may see as much as 14” of new snow total with a solid 8” likely through this afternoon on the summit and our ravine elevation forecast areas. The timing, intensity, and total snowfall that results will be determined by the heavy slug of precipitation referenced by the NWS forecasters. Lower elevation forecast areas will see snow but with rain as well. As snow accumulates today, the wind will shift from the northeast to the north at 30-45 mph and continue to shift and increase in velocity through the night. A northwesterly wind will reach the 70-90 mph range overnight as upslope snow continues to fall. Dense snow falling on well developed slide paths that are firm and icy in some areas will make new snow likely to be reactive to a human trigger. A brief period of warming or wind may be all that is needed to increase cohesion in the slab and make it crack and fail in a larger than expected way. 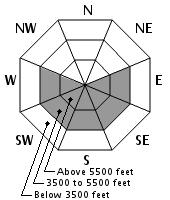 South facing terrain with a large, upwind fetch such as Oakes Gulf, the right side of Tuckerman Ravine and the northern gullies in Huntington Ravine will be loaded by northerly winds today. 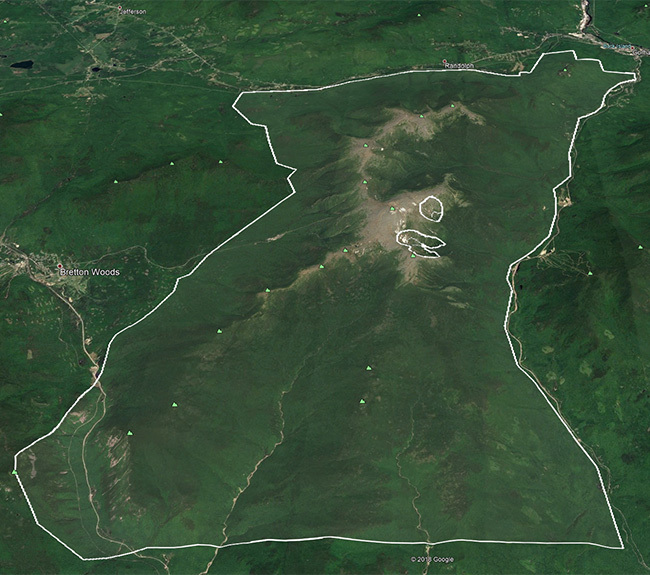 Other areas may receive just enough wind effect to make the new snow turn into a slab. Today’s wind is lighter than we typically see so consider that loading upper start zones may be occurring overhead and out of view at the ridge tops. Today’s early spring storm will create multiple challenges for route-planning and travelling in the field. Forecast snowfall totals are highly dependent on elevation but one easy way to keep avalanche problems straight today is to consider that the water equivalent falling today will be just over an inch with another third of an inch falling overnight. It’s easy to imagine what could happen when 6-8” of fresh snow gets another half inch of rain falling on it. Especially alarming today is that the smaller slopes and gullies like the south end of Gulf of Slides and the gullies like Right and Lobster Claw that often draw skiers on storm days are also in the bullseye for wind loading and cross-loading. Flat light and low visibility will challenge visual assessment of wind effect. Well-developed slopes contain few if any anchors, not that anchors help hold down soft slabs much anyway. A tried and true method of being caught and buried by an avalanche is to ignore or try to outsmart the obvious red flags such as heavy snowfall, wind loading and warming of a snowpack. Posted 03/22/2019 at 7:14 AM.